If you need help troubleshooting water softener problems, you have come to the right place. 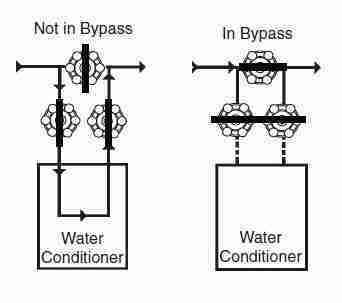 Often times proper maintenance is not enough to keep your water softening system operating flawlessly. Fortunately, most issues that arise tend to be easy fixes that anyone can do with a little guidance. This is the type of guidance and helpful videos that you will find in this article. NOTE: We have also highlighted certain problems that will require the aid of a certified professional. READ MORE: Find out how to pick a good water softener for your home. First thing is first. You need to measure the hardness of the water. This will help to address the seriousness of the problem. To begin, you need to test the feed water and determine its level of hardness. Only then, test the hardness of the output water. This is done in order to verify what the difference in hardness is before and after. Water hardness is measured in one of two units grains per gallon (gpg) or milligrams of calcium carbonate per liter (mg/L). Based on the United States Geological Survey (USGS) findings, soft water should have anywhere from 0 to 60 mg/L of calcium carbonate. If your initial measurements are indicating a number closer to 60, then it is possible that your water softener needs some maintenance. 61 to 120 mg/L is already considered moderately hard water. This is when you need to start poking around your water softener system to look for more serious issues. If your reading shows anywhere from 121 to 180 mg/L, then you can rest assured that your system needs fixing. You can easily test your water by purchasing a test kit only. You can check out HoneForest – it is inexpensive and it yields really accurate results. Your other option would be to take two samples of water and send them out to a local lab. But, this is quite a time consuming and unnecessary. Now, let’s start troubleshooting the most common problems. So, you have done the before and after tests for hard water and it has come out positive. The water you have is hard. Check power to the water softener. Always start here in order to avoid some future embarrassment. Simple things should always be checked first. Most units use electricity, so make sure the cord is plugged into a live outlet. For units that use low-voltage transformers, you can use a VOM to make sure that the transformer is working properly. Check the bypass valve – make sure it is not leaking. Keep in mind, not every water softener installation includes a valve. Some installation depends on globe valves that tend to have the same purpose as bypass valves. In order to repair a leaking valve, you will likely need replaceable o-rings. Unless you have done the installation yourself and made sure you have spare parts, chances are those rings won’t be available to you. Check if there is salt in the tank. If you are using a salt-based water softener, but by some miracle the soft water runs out before the regeneration cycle, there are two things that need checking. Brine tank debris or salt mushing – the accumulation of any kind of debris or salt at the bottom of the tank can cause inadequate regeneration cycles. Once you’ve checked the above, try and manually run a regeneration cycle. Most standard water softening units have a lever that can be pushed or an electronic button. Feel and test the water supply after the manual regeneration cycle. If you have a defective timer, there is nothing to do but to replace it. Otherwise, the unit will not cycle. There are several why the regeneration cycle can get delayed, or get stuck as continuously on. Water should always be cycling through the brine tank. Duh! But, unless the tank is running very low on salt, the bottom should always be visible. NOTE: The brine tank should never be filled up to the top. Below are some common issues that you can troubleshoot if the water level (briny water) is abnormally high. The water softener injector or educator might be clogged. The solution is to remove and clean it. Here is an article that outlines how to do so. The piston on the water softener might be damaged. This can happen over time, but usually not within the first 5 years. The only solution is to replace the piston. The drain line can also get clogged and cause the brine tank to malfunction. The drain line flow controller (DLFC) may also be clogged. The backwash drain is a plastic orifice that is typically located around the elements that connect the water softener control head to the drain. The DLFC can be cleaned or replaced if needed. Damage to the brine line float controller (BLFC) can also cause the tank to fill up with water. In case the part is damaged, and not just clogged, it will have to be replaced. Pipes and the control head can be cleaned up if you determine that iron build-up is the problem. If you are not sure what you are doing, seek professional help from a plumber. Loss of resin will show up at the end of the chain – faucets and shower heads. When they get clogged, the water pressure can seamlessly decrease. If your water is too salty, this is either because you are using too much salt in the water softener or because the drain hose is clogged. If it is the former, just use less salt. If the drain hose is clogged, the brine will not be properly flushed out. This means that in the next cycle, there will be more salt. Unclogging the hose should fix that issue. If you find that there are minerals or resins being discharged into the water, there likely is air inside the system. This is often caused by a deteriorated resin. Check the faucet strainers and shower heads for sand-like particles and debris. If you find any, you might need to replace the resin. Sulfates or hydrogen sulfide are responsible for the unpleasant rotten egg-type odor of the water. NOTE: Sulphur odors in water need to be carefully diagnosed in order to be properly treated. Installing a simple water filter will NOT get rid of Sulphur odor in hot water if it was caused by a bacterial contamination. Sulfur odor is best treated by the use of a chlorine injection system. This is not something we recommend you do on your own. As you can see in the image below, a careful calculation is required before the bleach solution (chlorine) is injected into the water supply. Rotten egg smell and some contaminants can be removed by most distillers. Water softener problems can easily disrupt your daily routine. Whether at home or at the office. In this article, we have listed the most common problems and how they can and should be address. Always be mindful of the plumbing issues that you are facing. This guide should help you fix easier problems, such as clogged valves and tubes. But, if you feel the issues are persisting or you do not feel your skill level is up to the task, just call a plumbing service. Even with good intends and knowledge you can end up further damaging a water system.